Explanation: Dust lanes seem to swirl around the core of Messier 96 in this colourful, detailed portrait of the centre of a beautiful island universe. Of course M96 is a spiral galaxy, and counting the faint arms extending beyond the brighter central region, it spans 100 thousand light-years or so, making it about the size of our own Milky Way. 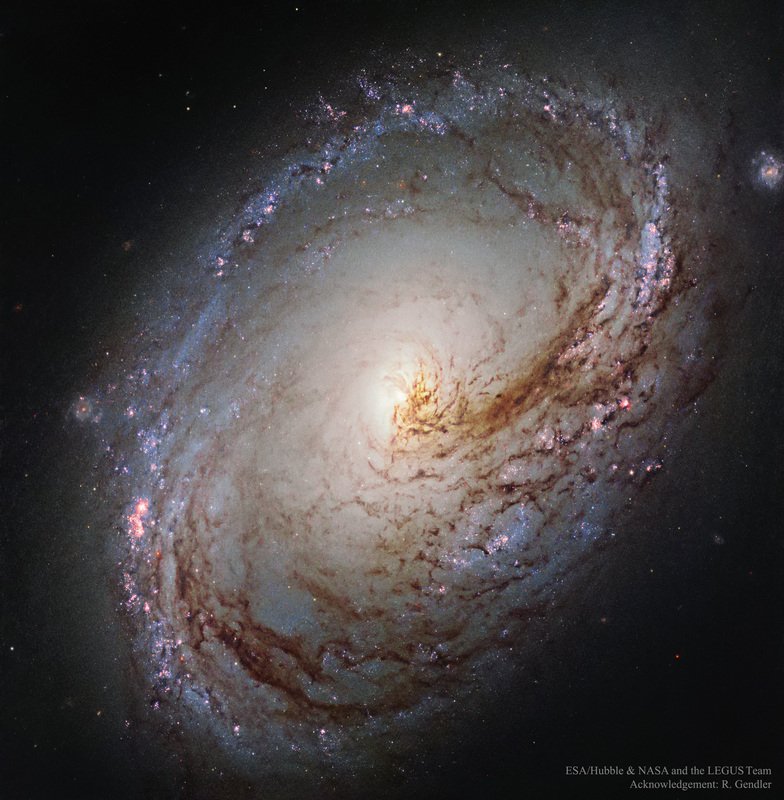 M96, also known as NGC 3368, is known to be about 35 million light-years distant and a dominant member of the Leo I galaxy group. The featured image was taken by the Hubble Space Telescope. The reason for M96's asymmetry is unclear -- it could have arisen from gravitational interactions with other Leo I group galaxies, but the lack of an intra-group diffuse glow seems to indicate few recent interactions. Galaxies far in the background can be found by examining the edges of the picture.